Royalcraft Windsor 4 Seat Sofa Set: The Royalcraft Windsor collection features a beautiful double half round synthetic rattan weave, which is suitable for indoor and outdoor use. This sofa set comprises of two luxurious carver arm chairs and a two seat sofa and includes deep seat and back cushions in a grey polyester fabric for extra comfort and support. 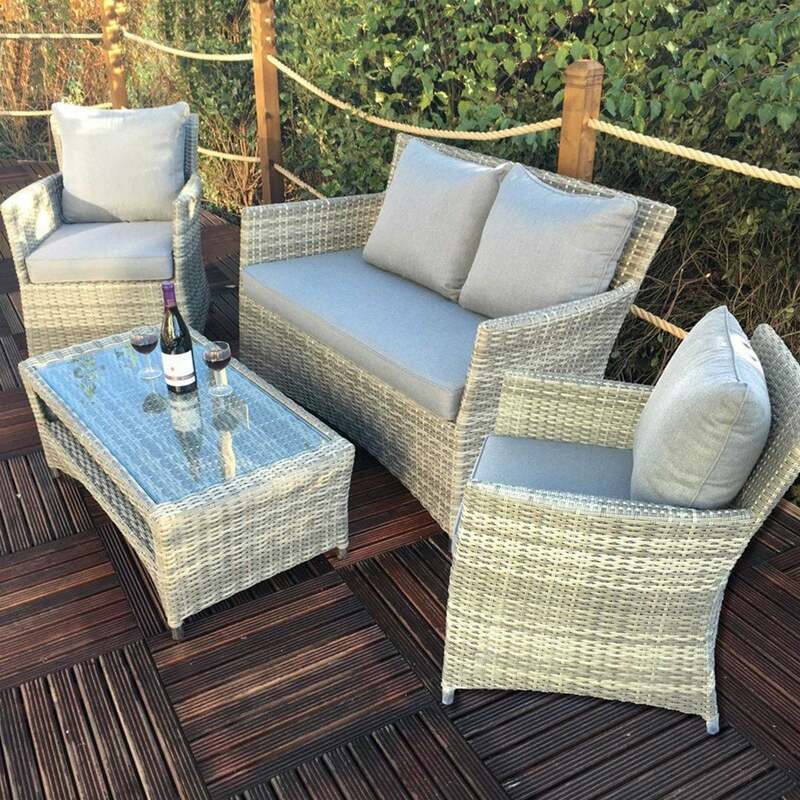 The elegant and weatherproof rattan is hand woven onto an aluminium frame and is strong and durable making it suitable for both indoor and outdoor use. The attractive rattan is easy to maintain and can be cleaned using warm water and a mild detergent. A 1 year manufacturer's warranty is included and other complimentary items from the Windsor collection can be viewed on our site.